Daffodils, some of the first flowers to appear in the spring, even before the trees leaf out, brighten up dark corners and otherwise still groggy gardens. They remind me of the sunrise, the centers ranging from yellow to peach to orange with the bright white petals like the rays reaching out. Even the pure yellow daffodils shine brightly like a the mid-day sun. But there’s more to daffodils than their pretty face. They can serve a purpose in your garden as well. Daffodils are guards in the garden, defending it from both encroaching lawn and from four-legged predators. 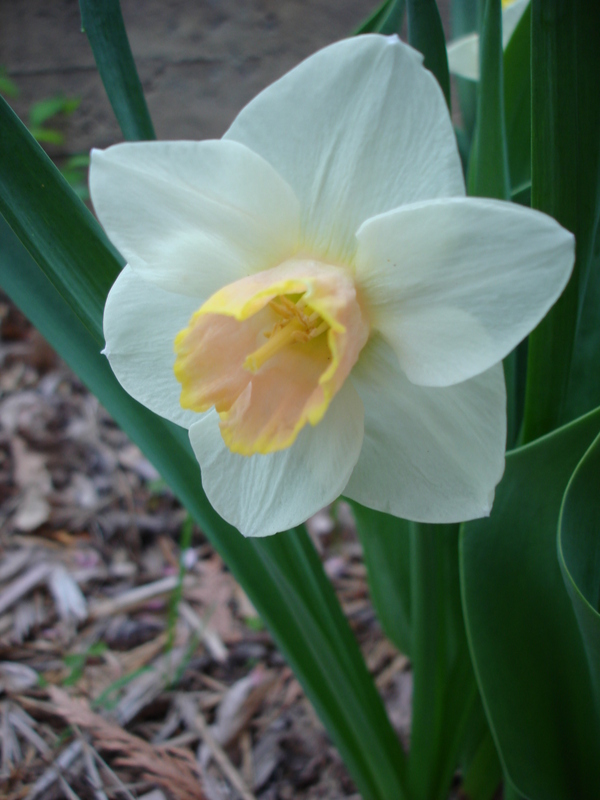 When planted densely, daffodils will keep grass out of planting beds, making weeding a much lighter task. Often times, many of us will plant a fruit tree in the middle of our lawn. Unfortunately, lawn is not a fruit tree’s friend. The lawn competes heavily with the trees for water and nutrients in the surface of the soil during the heat of the summer. 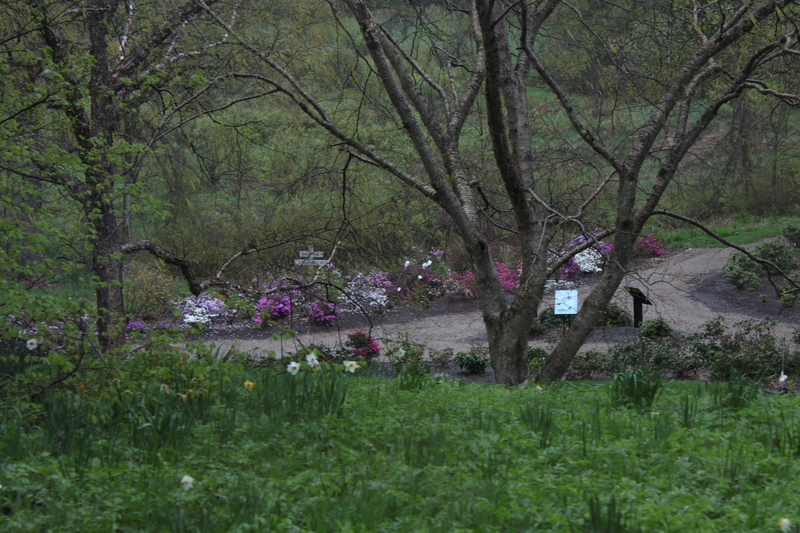 Daffodils, on the other hand, are relatively deeply planted bulbs. They will begin to establish themselves when planted in the fall, put on growth and bloom in early spring. Then, about the time the trees need water and nutrients, the daffodils begin to die back, reducing their need for water until fall when the tree begins to go dormant and process begins again. In addition, daffodils help defend fruit trees against predators. As a member of the onion family, they contain a toxin that deters many animals, including squirrels, deer, gophers and mice from gnawing on the tender bark when planted close to the trunk off fruit trees. One word of caution, however, although daffodils are in the onion family, they are toxic to humans and should not be ingested! Other benefits of daffodils are that they are a perennial bulb, therefore only needing to be planted once and will return year after year. 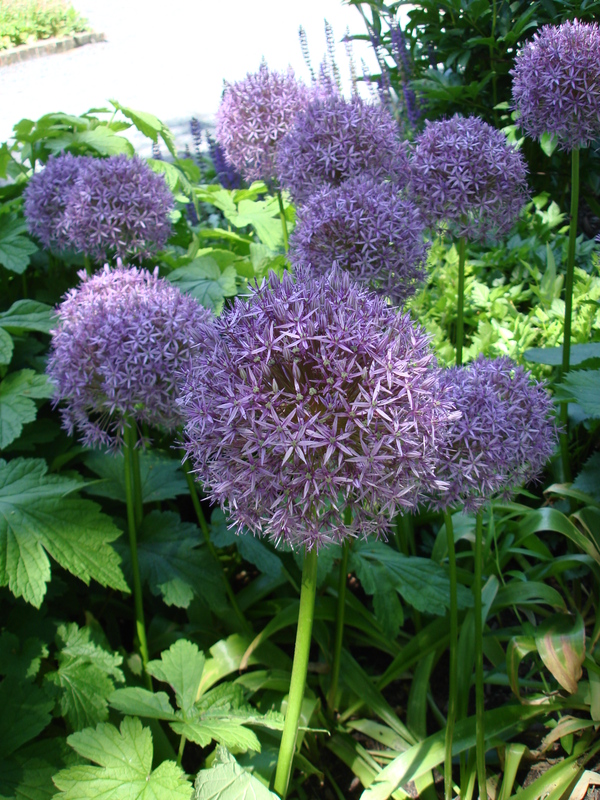 They will also gradually reproduce, making them a great bulb for naturalizing under a tree or in a shade or woodland garden. One last fun note about daffodils – their faces follow the sun throughout the day. This is fun to observe both for kids and kids at heart. Many of the daffodils relatives, in the onion family, will serve the same purpose in the garden. 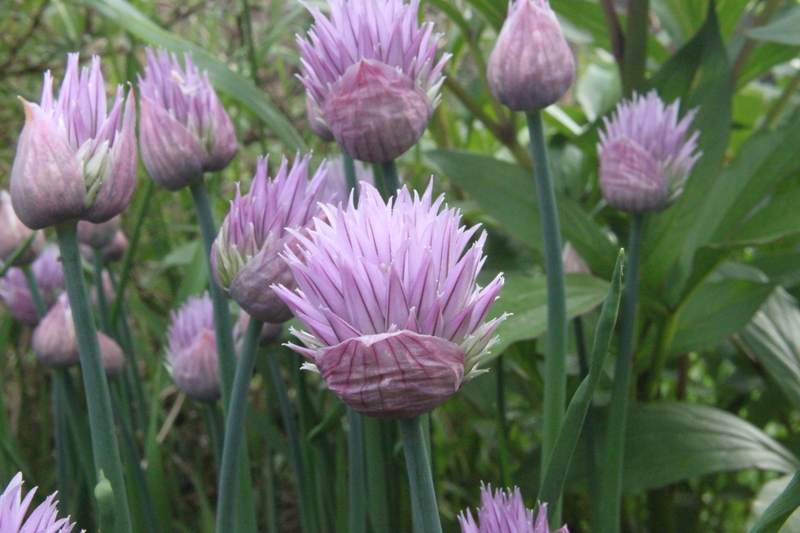 Allium, the tall blue, white or purple puff-ball on a stick, which resemble fireworks in the sky, will add color and can be found in a variety of heights and sizes. 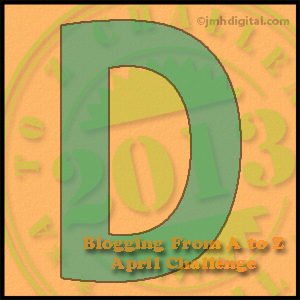 I am so happy to have found your blog through the A to Z! This is just the sort of thing to inspire me for my yard this spring. I love how you can write to inform but also make it easy to understand. Thanks! Thank you, Jean. That’s such a nice compliment. I’m glad you found me too. I look forward to visiting your blog as well! I have always loved daffodils, but now I love them even more. Thank you for the interesting and fun post! Great post! I have lots of daffodils in my yard but didn’t know much of this. Thanks for sharing. Thanks for stopping, Cindy (and for the compliment). I love daffodils, but didn’t know they had so many other benefits other than their beauty. Last fall I finally planted some in the yard, mostly around our nectarine tree. Now, if I could only figure out how to get them to grow from the electrical wire that the squirrels use to get into the tree…. Thanks for the info. I will definitely be sinking more of them into the ground come this fall! LOL! Let me know if you figure out how to grow them from the electrical wire! My D was daffodil, too! Mine was not educational though. I love allium and knew they are part of the onion family, but I didn’t realize that daffodils are, too! Funny thing about the bulbs coming back each year is that sometimes they come back in other yards because of squirrels! I ended up with mini daffodils one year even though I had never planted the bulbs! My allium has slowly decreased. I’m quite suspicious! Ahhh… those pesky squirrels. Yes, they might not eat them, but they do like to transplant for us, don’t they? I find it a little entertaining when they don’t do to much damage. I’ll have to check out your daffodil post (and all the others too). Thanks for stopping by and saying hello.